An ongoing comic series from Image Comics, Saga is Brian K. Vaughan’s (Y the Last Man, Ex Machina) latest ongoing. 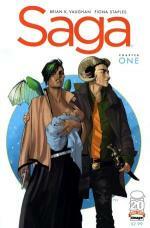 Not a traditional fantasy, Saga draws on elements from both fantasy and science fiction. It begins with the birth of a baby to two parents from races that are at war with one another. In the first issue they are both pursued by forces from both sides, and rather than having grand stereotypical heroic goals, they simply want to survive and raise their daughter. Despite all the cool ideas, at its core, this is an emotional story about love and parental duty. Art is by Fiona Staples. A collection of the first six issues is out now. The only piece of short fiction on the list, Ken Liu’s "Paper Menagerie" is one of the stories that got me choked up this year. But don’t take my word for it. 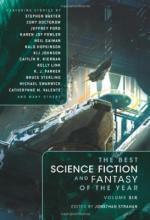 The story won the Hugo, the Nebula, and the World Fantasy Award this year. Liu’s story is one of the best kinds of fantasy, where the fantastical elements only help to accentuate the emotional content of the story. It’s a story about family and immigrant parents and the struggle that often results when the two come together. It’s well worth your time. I’m cheating a bit since the story was originally published in 2011, but since it won three awards this year I think it counts. You can read the story here, or listen to a podcast read by yours truly here. 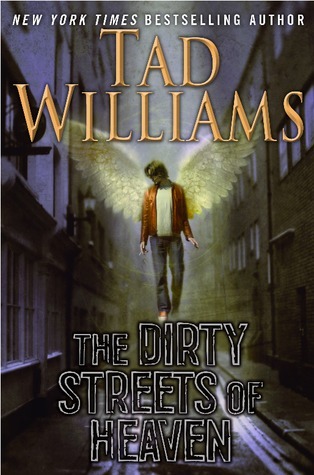 I discussed this book earlier, but I loved seeing Tad Williams, an author known for his huge fantasy epics, tackling a streamlined urban fantasy series about angels. Williams draws on hardboiled mysteries and crime stories while engaging in his usual impressive worldbuilding. Here he constructs an interesting system where angels and demons engage in a kind of moral litigation to determine a dead soul’s ultimate afterlife destination. Bobby Dollar is an advocate who gets in over his head in the best hardboiled tradition. The first in what I hope will be a long series. 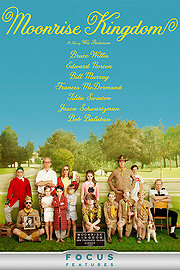 It’s not a book, I know, but Moonrise Kingdom was definitely one of the best fantasy stories I’ve experienced all year. 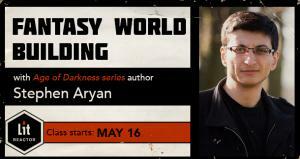 Fantasy, you say? Are you sure? Yes. Ostensibly Wes Anderson’s latest film takes place in the real world, but it’s the real world by way of a storybook. One of the main characters, Suzy Bishop, reads young adult fantasy books in the film and as the AV Club puts it, Moonrise Kingdom “feels like an adaptation of one of those books.” Wes Anderson has always impressed me, even when his movies don’t entirely work, but Moonrise Kingdom is definitely one of his best, packing a great deal of emotion into the director’s usual quirky and detailed style. 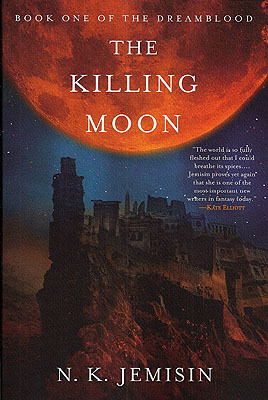 N. K. Jemisin established herself as a bold new voice in the fantasy genre with her Inheritance Trilogy. This year she released two books in the Dreamblood Series, of which Killing Moon is the first. Jemisin takes inspiration from ancient Egyptian culture, adding in a religion devoted to dreams, to create a complex and detailed setting. Even better, this is a fantasy setting that is populated by predominantly brown people, something that I think is underrepresented in fantasy. But it’s not all setting here. Jemisin’s prose is rich and her characters interesting and there’s culture and politics and intrigue and... just pick it up already, okay? I also talked about this book earlier this year, but Saladin Ahmed’s debut (and the third of my picks with Moon in the title) takes epic fantasy and sword and sorcery elements and blends them with a fantasy version of the Middle East. Aging ghul hunter Doctor Adoulla Makhslood is not your typical fantasy hero, world-weary as he is. And when paired with Raseed Bas Raseed, a young holy warrior without much knowledge of anything but fighting and devotion to God, it makes for an interesting match. Add to that mix a young were-lion, a couple of sorcerers, and a master thief, not to mention ghuls, and you have a gripping adventure in a fresh setting. 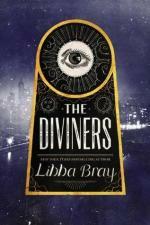 Fantasies set in historical periods require a certain authority to make the world come alive and Libba Bray certainly has provided that in this 1926 set novel. 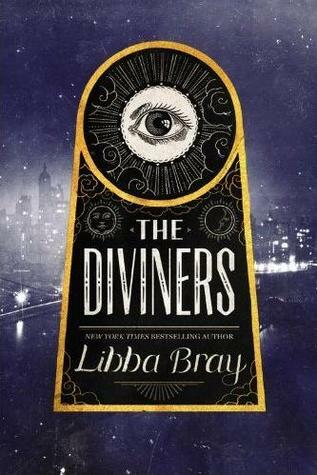 Evie O’Neill is a seventeen year-old girl who gets sent to New York to stay with her uncle and stumbles into a series of murders. Of course this being a fantasy, Evie has a very special ability--she can read the impressions of physical objects. Other characters’ stories weave into hers, resulting in a riveting period piece. 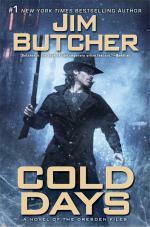 If you’re not a fan of The Dresden Files, this endorsement may not mean much as it’s the fifteenth book in the series. But if you have been reading them, and are working your way up to this one-- it’s one of the best. Series author Jim Butcher has been taking Harry Dresden on quite the ride and some long simmering plot lines are now finally starting to pay off. Butcher is impressive for being able to weave so many plot threads together (and sustain them over time) and this latest installment shows how masterful he’s become at this. Of course if you’re new to the series, it’s best to start at the beginning (or at least at book three). This anthology is just a treasure trove of short fantasy fiction with an emphasis on the weird. 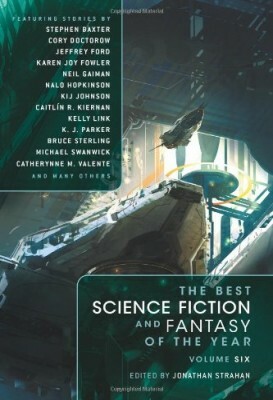 So-called weird fiction is some of my favorite, and this one contains an impressive list of names--Kafka, Lovecraft, Clark Ashton Smith, Fritz Leiber, Ray Bradbury, Borges, Stephen King, Angela Carter, Neil Gaiman--but it’s perhaps more significant in that it contains a lot of names that are less easily recognized. The VanderMeers collected stories from over 20 countries, covering over 100 years of fantasy fiction. 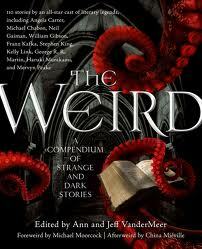 But don’t just take my word for it--The Weird received the World Fantasy Award this year for Best Anthology. 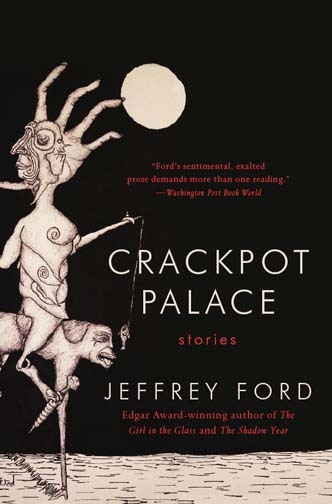 I wrote about Jeffrey Ford's short fiction earlier this year, but his most recent collection was my favorite release of the year. Jeffrey Ford just can’t be matched when it comes to short fiction and so many of the stories in this collection are stellar. I continue to be amazed by how Ford can craft characters that seem so real and relatable, and inject them into stories that seem spun from dreams. As far as I’m concerned, no one can touch Jeffrey Ford. Read this and see why. Fair Coin by Eugene Myers - a boy discovers a magical wishing coin that changes the world around him. Or does it? And A Plug: I can vouch for some fantasy content, but Diverse Energies is primarily a dystopian YA anthology with a focus on diversity. In the interest of full disclosure, I have a story in there (a fantasy story). But let it stand on the merits of its other authors. Like Paolo Bacigalupi and Ursula K. LeGuin, Malinda Lo and Cindy Pon. 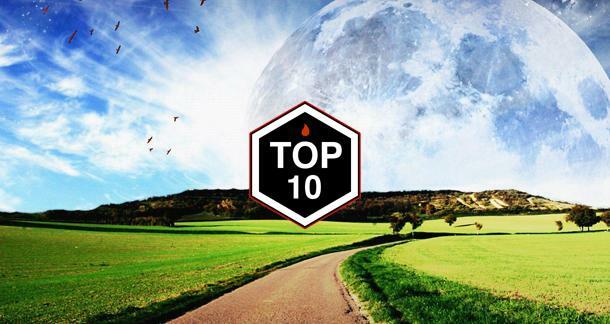 Now please, let me know your favorites of the year. I look forward to hearing what you have to say. Nice list; I adored Moonrise Kingdom. The best fantasy I read this year was hands down Alif The Unseen by Willow Wilson. I enjoyed the first page to the last, especially because I've never encountered a book that could touch on the subjects of quantam computing and d'jinn in the same paragraph. 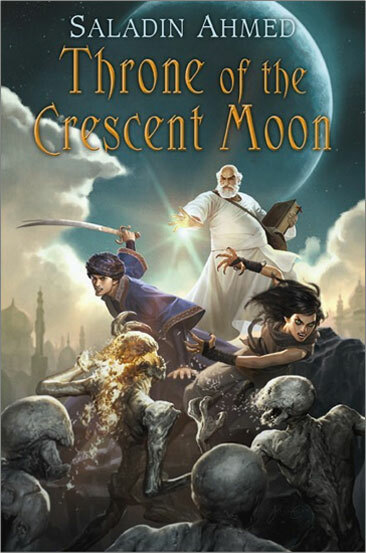 The result was a really fascinating story that blended hacking and Arabic mythology.